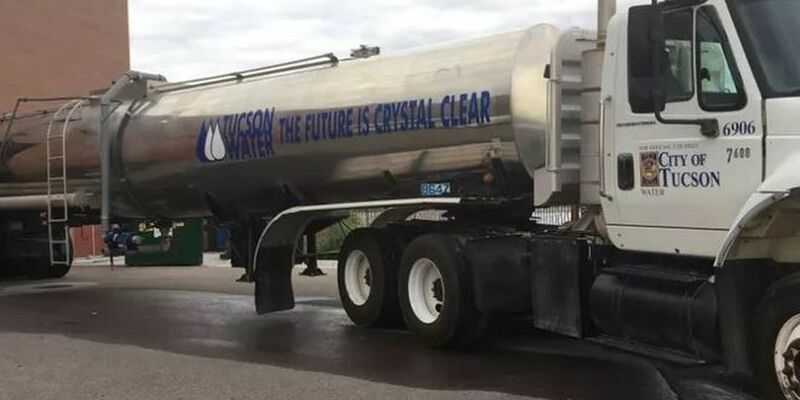 TUCSON, AZ (Tucson News Now) - Pima County has found the recipe for success in the water conservation game thanks to beer that uses reclaimed water as a key ingredient. According to a news release from the county, the Pima County Regional Wastewater reclamation Department won the Project of the Year for its winning entry in the Water Innovation Challenge at the AZ Water Conference. To win the challenge, the Pima County-lead team used ultra-pure reclaimed water to brew beer as a way to educate the public on using reclaimed water as a sustainable water source. Dragoon Brewing Company's Clear Water Pilsner was deemed the "best-tasting beer" in the AZ Pure Water Brew Challenge. The water used by the breweries was reclaimed water from Pima County's Agua Nueva Water Reclamation Facility. It was purified using a multi-barrier purification process including ultra-filtration, reverse osmosis, ultraviolet disinfection with advanced oxidation, activated carbon filtration, and chlorine disinfection. The project team treated more than 80,000 gallons of recycled community wastewater. The purification process removed all contaminants, including pharmaceuticals, viruses, bacteria, and organic compounds, leaving only pure water that satisfied federal and state safe drinking water standards. Beers from more than two dozen Arizona brewers from Tucson, Yuma, Prescott, Flagstaff, Sedona, and the Phoenix area participated the challenge. The County's winning project was developed by a team at Pima County Regional Wastewater Reclamation's Southwest Water Campus. Additional partners included Tucson Water, Town of Marana, University of Arizona, Carollo Engineers, CH2M, Clean Water Services and Water Reuse. The team also recruited contributors to assist with the technical aspects involving the design, assembly, operation, and performance validation of the mobile advanced water treatment facility. Among the contributors were Dow Chemical, Agilent, and HACH. In addition, the team called on the support from the Arizona Craft Brewers Guild, AZ Water, WateReuse Arizona, ADEQ, the UA's Cooperative Extension, and Pima County Communications to assist with the marketing, public outreach and regulatory aspects of potable reuse.